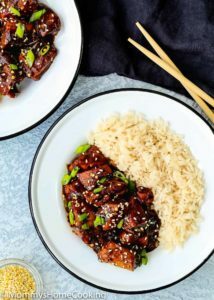 This Easy Instant Pot Teriyaki Chicken recipe is perfect for your weeknight’s dinner repertoire! 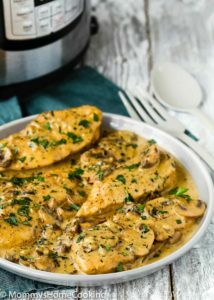 Easy to make with just a few ingredients, this flavorful chicken will quickly become a family favorite. 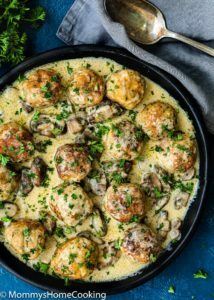 There is not such a thing as having too much easy dinner recipes! 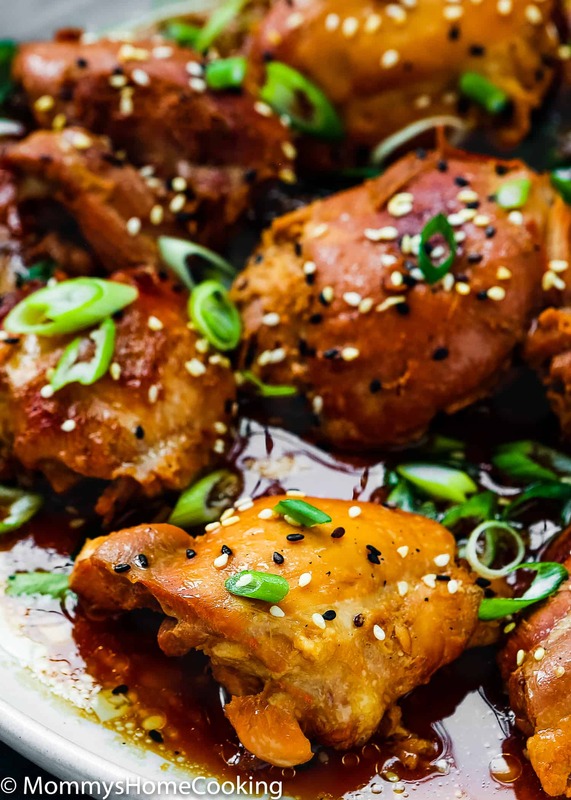 So, I am sure you’re going to add this Easy Instant Pot Teriyaki Chicken recipe to your weekly rotation, not just because is delicious, but also because it will make dinner a breeze in a busy weeknight. Plus, is guaranteed to satisfy even the pickiest of eaters! 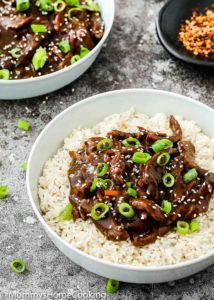 This Easy Instant Pot Teriyaki Chicken is tender, flavorful and totally irresistible! 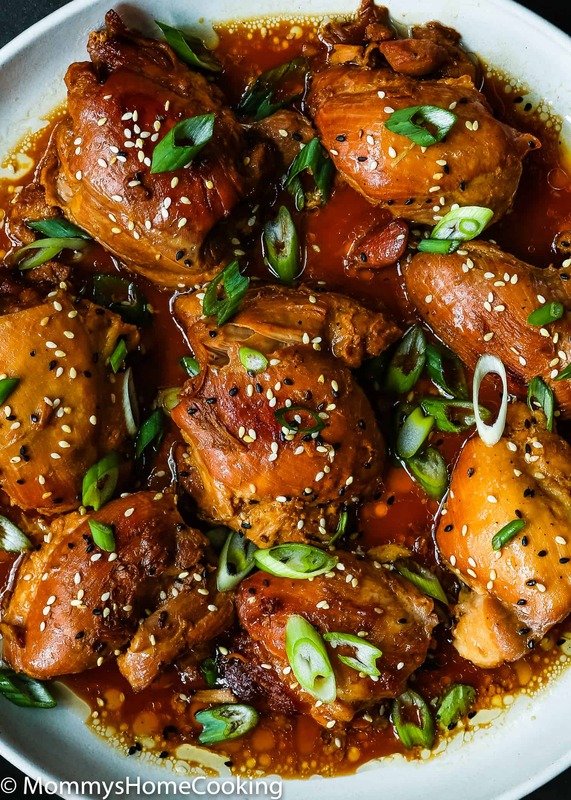 You can’t go wrong with chicken bathed in a tasty sauce, right? Perfect over a bed of rice or quinoa. 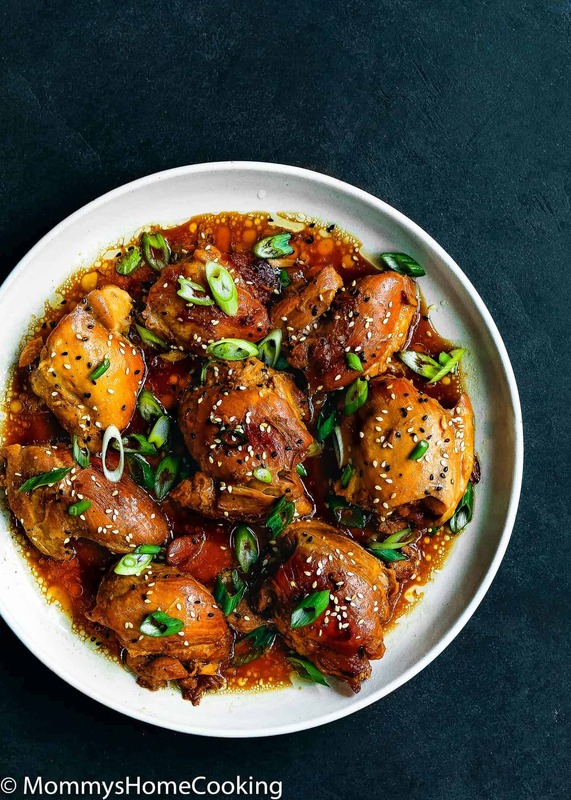 Combine ½ cup low sodium soy sauce, ¼ cup rice vinegar, 2 minced garlic cloves, 2 teaspoons fresh grated ginger, 2 tablespoons canola oil, 2 tablespoons honey, ¼ teaspoon black pepper, and 1 tablespoon corn starch in a mixing bowl. 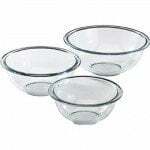 Use as instructed in the recipe. 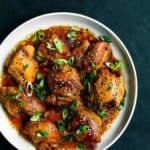 How Do I Make Teriyaki Chicken in The Instant Pot/Pressure Cooker? 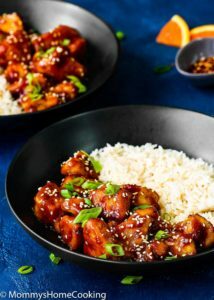 Combine ½ cup low sodium soy sauce, ¼ cup rice vinegar, 2 minced garlic cloves, 2 teaspoons fresh grated ginger, 2 tablespoons canola oil, 2 tablespoons honey, ¼ teaspoon black pepper, and 1 tablespoon corn starch in a mixing bowl. Set aside. Heat the Instant Pot in sauté mode, adjust to “more”. Add oil and brown the chicken, about 2 -3 minutes per side. When the chicken is browned press “cancel”. Add the teriyaki sauce to the pot; mix to combine. Cover and lock the lid. Select “Manual” or “Pressure Cook” and adjust the time to 10 minutes. When the time is over, let the pressure release on its own for 5 minutes. Then, carefully turn the valve to “Venting,” to release any extra pressure that might still be in there. Sprinkle with sliced green onions and sesame seeds, if desired. Serve with rice or quinoa. 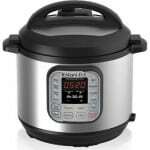 Once your Instant Pot’s cooking time is over, it will beep and then it will start counting up on the keep warm mode. The natural release time will vary depending on what are you cooking. 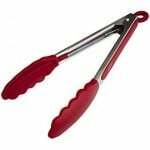 In most recipes 10 – 15 minutes of natural release is enough. Check the recipe direction to get an idea of how long the natural release will take. After the natural release time is over carefully turn the valve to “Venting,” just to release any extra pressure that might still be in there. Then remove the lid. 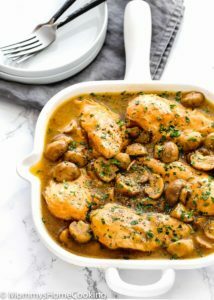 Can I Cook with Frozen Chicken in The Instant Pot? Yes! 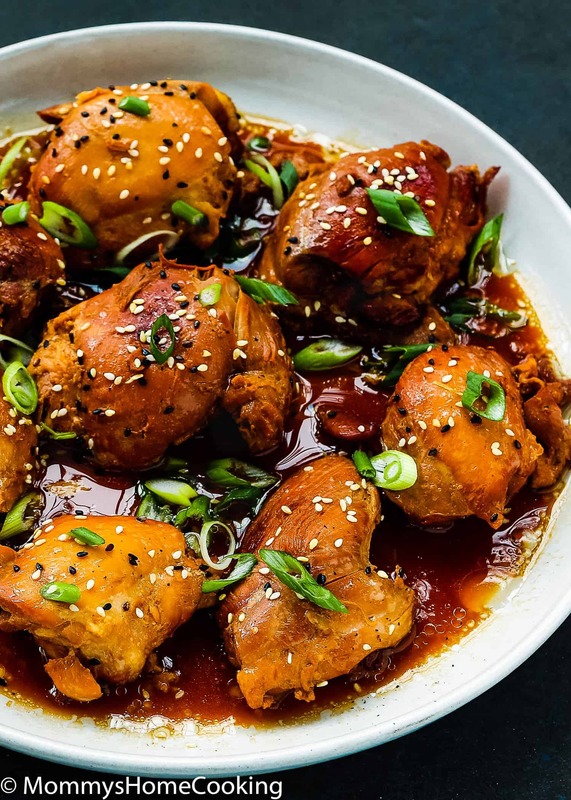 The cook time under pressure doesn’t change, but the time the pot takes to come up to pressure will be longer — about 5- 10 minutes extra depending on the quantity of chicken. The same rule applies to cook others frozen meats, such as beef, pork, lamb, etc. Please keep in mind that if you going to cook from frozen meats you must skip the browning step. 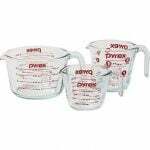 Combine teriyaki sauce ingredients in a mixing bowl. Set aside. Cover and lock the lid. Select “Manual” or “Pressure Cook” and adjust the time to 10 minutes. When the time is over, let the pressure release on its own for 5 minutes. Then, carefully turn the valve to "Venting," to release any extra pressure that might still be in there. Chicken: This time I used chicken tights, but you can use drumsticks or chicken breast if you prefer. You can substitute 2 tablespoons of honey for 3 tablespoons of brown sugar. Yes! 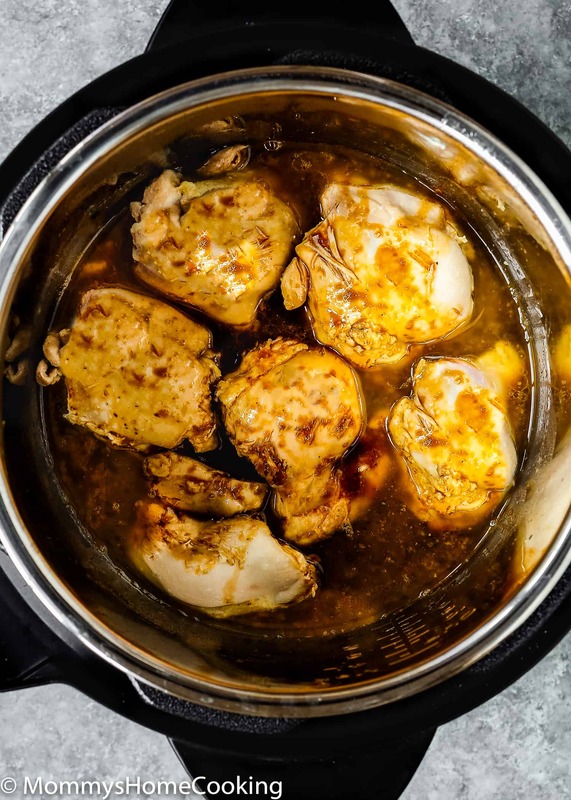 The cook time under pressure doesn't change, but the time the pot takes to come up to pressure will be longer — about 5- 10 minutes extra depending on the quantity of chicken. The same rule applies to cook others frozen meats, such as beef, pork, lamb, etc.